Athletes representing more than 200 member countries from the International Olympic Committee (IOC) will compete at the 2016 Olympic Games. Ahead of the games, China and the USA are tipped for large medal hauls, having topped the table at London 2012. Meanwhile, Russia’s partial ban for doping could hurt its chances of coming close to 82 medals again. This latest Rio 2016 preview will evaluate the medal prospects of the biggest and smallest countries competing in the games. Team USA won London 2012’s medal table with 104 in total, comprised of 46 gold, 29 silver and 29 bronze. In Rio, the USA is again expected to reign supreme, with Ladbrokes pricing the country as 1/4 favourite to win the most gold medals. 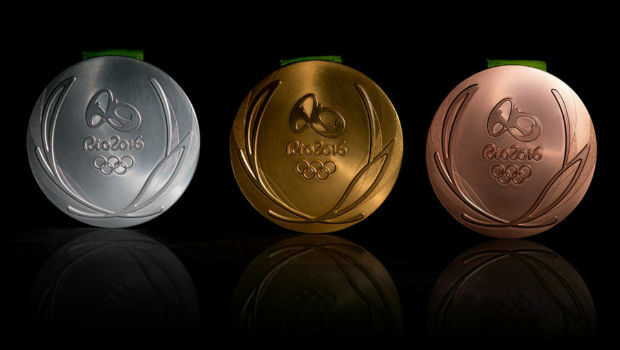 The country is also available at 5/6 to win either over or under 41.5 gold medals. If the USA is to triumph again, then the team needs large hauls in swimming and track and field. In the former discipline, Michael Phelps could be integral, with the 18-time Olympic medal winner targeting four successive events. Four years ago, the USA dominated in London with 28 track and field medals, but that could decline in Rio. For perspective, the USA only delivered 18 medals at the 2015 World Championships. This could force the country to look to smaller scale events to build its medal total. China was the second best nation at London 2012, claiming 38 gold, 27 silver and 23 bronze for 88 medals overall. In winning the most gold, China’s 3/1 odds at Ladbrokes make it the closest rival to the USA. For the current games, China has sent its largest ever team of 416 athletes. In previous Olympics, the Chinese have succeeded in badminton, gymnastics, table tennis and weightlifting. However, there are concerns that key athletes will not be able deliver, with age and injury hindering their performances. In Rio, China will look to table tennis star Ma Long, who is the ranked number one in the world. Another top prospect is swimmer Sun Yang, who claimed gold in the 400m and 1,500m freestyle events in London. At London 2012, Team GB delivered 29 gold, 17 silver and 19 bronze on home soil to finish third in the medal table. Following their success, Ladbrokes is offering 50/1 odds on Team GB topping the table in Rio. "If all stars align and things go perfectly, it could be as good as 79 medals." Mo Farrah will be Team GB’s star face in Rio, with the 33-year-old ready to defend his 5,000m and 10,000m gold medals from London. Outside of Farrah, there are other top contenders aiming for gold. These include Jessica Ennis-Hill (heptathlon), Sir Bradley Wiggins (cycling), Andy Murray (tennis), Alistair Brownlee (triathlon) and Adam Peaty (swimming). Major countries will demand much of the spotlight in the games, but there will also be interesting storylines among some of the smaller nations. For instance, Bosnia and Herzegovina, Fiji, Jordan and Rwanda have athletes targeting the first Olympic medals in their nations’ histories. Amel Tuka is the main medal hope for Bosnia and Herzegovina, with the men’s 800m runner raising his profile with a bronze medal at the 2015 World Championships. Ahead of the 800m final on 15th August, bet365 has priced Tuka as an outsider at 20/1. Rugby has been absent from the Olympics for 92 years, but it will return in Rio in the form of rugby sevens – a version played with fewer players and at a faster pace. As reigning World Rugby Sevens champions, Fiji’s male team is viewed as having gold medal potential. Jordan’s Hussein Iashaish will compete in the 91kg category of men’s boxing, with the 20-year-old due to celebrate his birthday on 6th August. Iashaish is a viable medal prospect after finishing fifth at the 2015 World Championships and winning bronze in the 2015 Asia Championships. Salome Nyirarukundo is an 18-year-old Rwandan runner who is tipped for a bright future in female athletics. At Rio 2016, she is an intriguing medal prospect, having claimed a senior national record in the 10,000m. Ahead of the women’s 10,000m final on 12th August, she is yet to be priced by Ladbrokes and could emerge as a rewarding prospect in the medal-winning market. Visit Ladbrokes throughout Rio 2016 for all the latest Olympic odds.